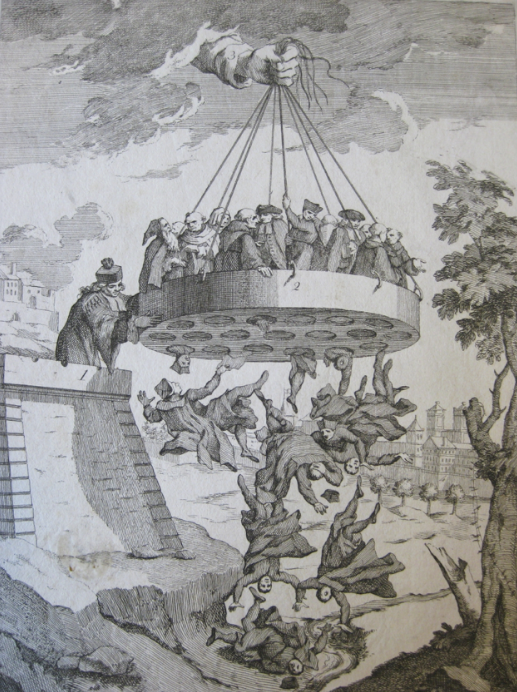 For the historian of technology, the Encyclopédie is invaluable for the snapshot it provides of eighteenth-century European metallurgy and metalworking technology. Its articles and plates are frequently referenced in studies of French and European metalwork, from the foundry of bells, canons and statuary to jewellery, silversmithing and bronze doré. Dozens of the Encyclopédie’s long-form articles provide detailed descriptions of equipment and processes, while hundreds more short entries describe specific metalsmithing terms, tools and procedures. In my own ongoing collection of articles which refer to metalwork and metallurgy, I have found close to 500 entries so far, but it seems likely that they may amount to a thousand or more. It is indeed a treasure trove of technology. 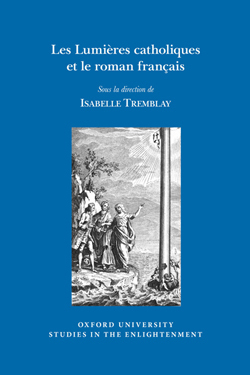 However, an enquiry into the sources of some of the articles and a critical survey of their scope with reference to surviving metal objects reveals that it may be unwise to assume that metalsmithing technologies described in the Encyclopédie necessarily correlate to those used in Paris or France more broadly during the period, or that a given piece of French metalwork from the period was necessarily made with the techniques described. Plate One of a set of six plates in the Encyclopédie, ‘Fonte de l’or, de l’argent et du cuivre’, which are referred to in the article ‘Sable, Fondeur en’, illustrating a sand-casting workshop. 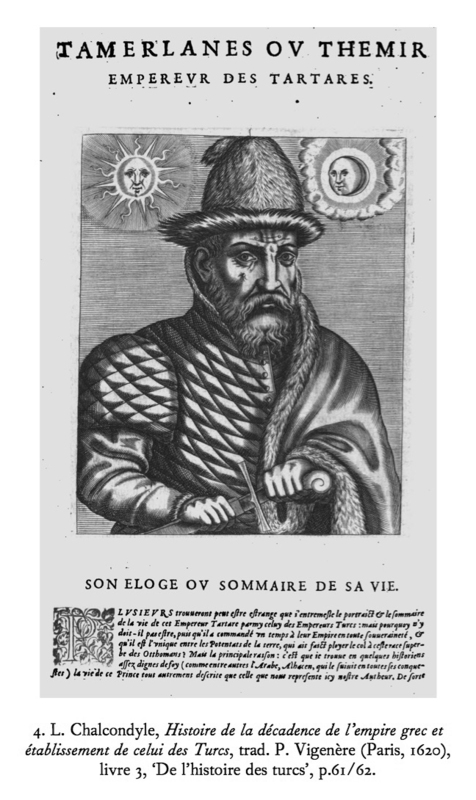 Source: Encyclopédie, ou dictionnaire raisonné des sciences, des arts et des métiers, etc., eds. Denis Diderot and Jean le Rond d’Alembert. University of Chicago: ARTFL Encyclopédie Project (Autumn 2017 Edition), Robert Morrissey and Glenn Roe (eds). Since a number of the articles are translations of foreign works, some may not in fact describe French practices. The article ‘Sable, Fondeur en’ is one of the many Encyclopédie articles translated and adapted from Chambers’ Cyclopædia, in this case a section, ‘Foundry of Small Works, or the Manner of Casting in Sand’, from the article ‘Foundry’. 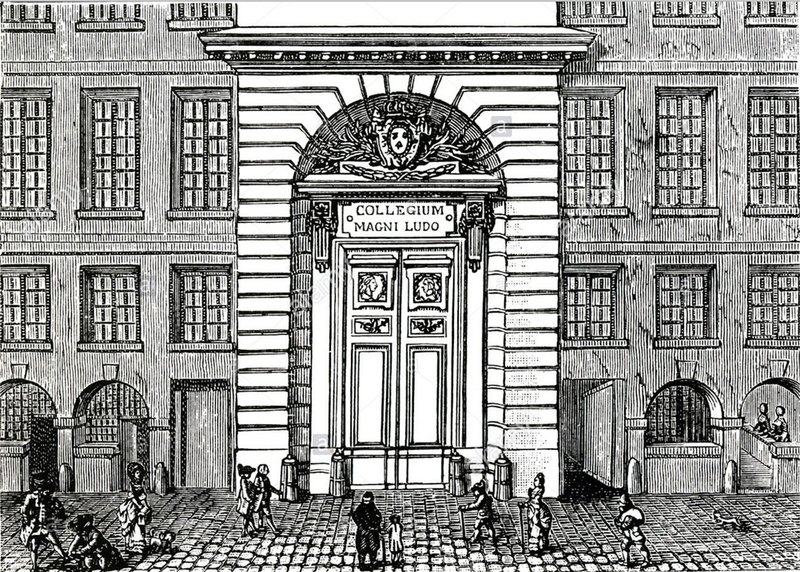 The French article is not entirely a direct translation of the English; the author (possibly Diderot) does elaborate on some parts of the process and describes extra details which indicate that he had indeed visited a sand-casting workshop while preparing the article. However, the French article so closely follows the terminology, descriptions and order of operations in the English that it is unclear to what extent the article actually describes French practices. In other instances, foreign works were translated without reference to local practices at all, as was apparently the case for ‘Soudure ou souder’, which d’Holbach extracted entirely from a 1760 German work, Ausführliche Beschreibung der Metalllothe und Löthungen by J.G.F. Klein. It may be that French and German soldering recipes and processes were identical, but we cannot assume that this is the case. While there would have been some degree of homogeneity of metalworking technologies across Europe at the time, largely resulting from the migration of artisans over the preceeding centuries, there were nonetheless some distinct regional practices. A comparison between French and English silver illustrates this point. From at least the mid-17th century, French silver incorporated heavy, highly figurative cast fittings and mouldings, while English silver was generally more restrained in both ornamentation and material, being constructed largely from thin sheet. The influx of Huguenot silversmiths into England in the last quarter of the 17th century before and after the 1685 Revocation of the Edict of Nantes led to the incorporation of heavier cast ornamentation in English silver, but to a limited extent. 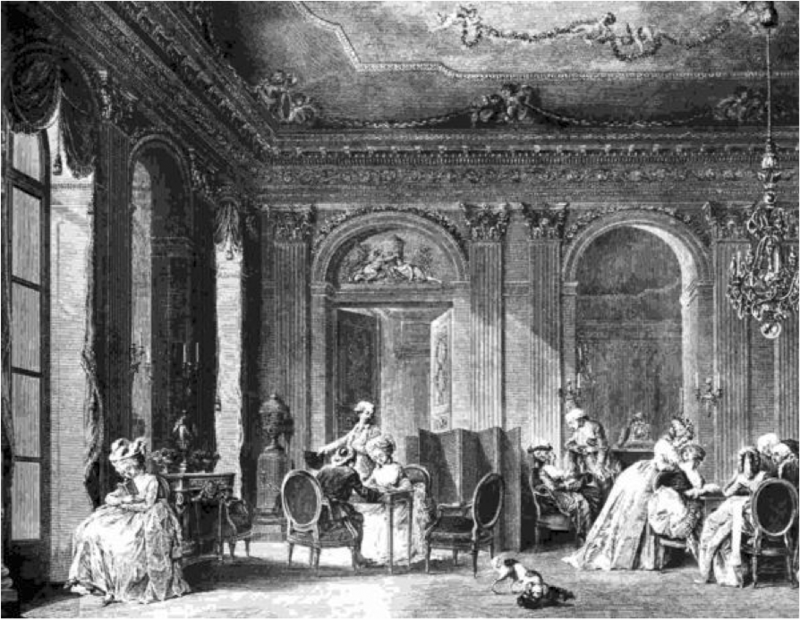 English patrons were not always enamoured of the busier French style, nor willing to pay greater prices for the extra silver required, and the result was a synthesis of French and English styles. We can infer that a synthesis of technologies took place at the time so that, while English silversmithing technology would now have looked more similar to French technology than it had previously, it would still have been somewhat distinct. One can see how uncritical translations from the Cyclopædia might conflate English and French technologies, which could lead the modern historian astray. Another concern is missing from the Encyclopédie. Naturally, we do not expect that the encyclopédistes could have described all processes of the mechanical arts, no matter how comprehensive their coverage. However, there is one metalworking process which, to the metal historian, is conspicuous by its absence: small-scale lost-wax casting. The Encyclopédie contains extensive descriptions and plates illustrating lost-wax casting of statuary, almost all of which are taken wholesale from Germain Boffrand’s 1743 Description de ce qui a été pratiqué pour fondre en bronze d’un seul jet la figure équestre de Louis XIV, but there are none describing the use of lost-wax casting in silversmithing or jewellery manufacture, nor even, as far as I can discover, any passing mention of it. Silver Tureen by Étienne-Jacques Marcq (c. 1705–1781), Paris, 1749, Metropolitan Museum, 1975.1.2561a, b. The typical rococo ornaments applied to the lid of this tureen were undoubtedly cast by the lost-wax method, and the rocaille fittings are very likely to have been. It is difficult to account for this lacuna in the Encyclopédie. It cannot have been left out for fear of repeating the process described for casting of statuary, because small-scale lost-wax casting is quite different, and the encyclopédistes did not shy from repeating themselves over numerous other articles. It is surely not from a deliberate avoidance of the production of luxury goods, because we see detailed discussions of other luxury manufactures such as tapestries, cut diamonds and gilding of metals. We might put it down to the unwillingness of gold- and silversmiths to share trade secrets, but the technique had been widely used for some time, and they were apparently willing to disclose many other techniques. The significance of lost-wax casting is that it can produce objects which are complex and asymmetrical, such as figures, while the other prevalent technique, sand casting, was largely suited to producing one-sided or bilaterally symmetrical objects. It is curious that lost-wax casting of smaller works is missing from the Encyclopédie because not only had the technique been in common use for at least two centuries but it seems to have flourished particularly during the mid-eighteenth century, especially with the rise of rococo ornamentation. One might even say that rococo metalwork is characteristic of lost-wax casting since the method lends itself to the complex plant and animal ornaments and asymmetrical rocailles which decorate silverware of the period. Modern analysis has shown that bronze doré furniture mounts were sometimes cast by lost-wax, and it was probably common in jewellery manufacture too. One of a pair of gilt bronze candlesticks after a design by Juste Aurèle Meissonnier (1695–1750), Paris, 1735-1750, Metropolitan Museum, 1999.370.1a, b, .2a, b. The whirling asymmetrical form of this candlestick was almost certainly cast with the lost-wax method, since other casting methods in use in France during this period were better suited to bilaterally symmetrical objects. It seems likely, therefore, than it is owing simply to the encyclopédistes’ ignorance of the process, which we cannot hold against them, but it does raise a question about their methods for documenting manufacture. Is it possible that they approached the mechanical arts with preconceived ideas about what processes existed to be documented, perhaps informed by the literature which was already available and which they readily plundered? Rather than visiting workshops to passively observe and record what occurred, or encouraging artisans to speak freely about their work, they may perhaps have arrived with a ‘shopping list’ of techniques to study and describe, essentially filling in blanks in a pre-formed picture. For the metal historian, the concerns raised here simply highlight the necessity of being judicious when using the Encyclopédie to determine the manufacture of French eighteenth-century artefacts. It is not sufficient to defer to it uncritically; the original source of the information should always be sought out, with attention to the possibility of regionalisation of technology, and there must be an awareness of the material evidence of the artefacts, which can reveal interesting gaps in knowledge and lead to new questions. Christina is an art historian based in the Centre for Art History and Art Theory at the Australian National University. Christina was a Visiting Academic at the Voltaire Foundation during 2018, funded by an Endeavour Research Fellowship awarded by the Australian Government. Le titre est trompeur. Le lecteur peut croire que l’Essai sur les mœurs et l’esprit des nations est une brochure rassemblant des réflexions générales sur les diverses façons de vivre et de juger des hommes, comme on en a tant produit au siècle des Philosophes. 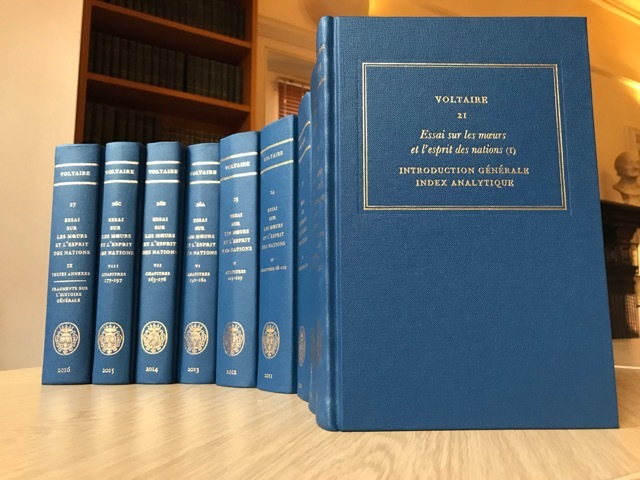 Il s’agit en réalité du plus gros livre sans doute qu’ait écrit Voltaire, en pas moins de 197 chapitres, et d’une histoire du monde entier assez détaillée, d’ailleurs publiée d’abord sous le titre d’Abrégé de l’histoire universelle. Il a fallu neuf épais volumes à la Voltaire Foundation pour en publier une édition nouvelle dans les Œuvres complètes. OCV, t.21-27: l’ensemble complet de l’Essai, t.I-IX. Le projet de l’écrivain entre dans ces programmes ambitieux qu’a lancés le Siècle des Lumières pour embrasser l’ensemble des faits ou des connaissances, comme L’Esprit des lois qui cherche à analyser les lois de tous les temps et de tous les pays, comme l’Histoire naturelle de Buffon qui entreprend une description raisonnée de tous les aspects de la nature vivante et inanimée, comme l’Histoire générale des voyages, comme l’Encyclopédie évidemment, rassemblement des connaissances de tous ordres. Voltaire, lui, a l’ambition de présenter et de comprendre l’humanité dans toute son extension géographique et chronologique, en plongeant dans le passé le plus lointain et en allant jusqu’aux événements les plus récents, en ne se bornant pas à l’histoire de l’Europe mais en explorant aussi le passé de l’Amérique et de l’Asie. L’écrivain toutefois est réaliste; il veut voir l’achèvement de son entreprise. Aussi se dispense-t-il de redire, par exemple, l’histoire de la Grèce et de la Rome antiques, si présente dans la mémoire du public cultivé grâce aux enseignements du collège et du théâtre tragique. Et pour l’histoire contemporaine, il a pu se contenter de reprendre le Siècle de Louis XIV, dont les frontières dépassent celles de la France, et le Précis du siècle de Louis XV. La tâche restait immense, et a occupé, sinon accaparé, Voltaire pendant au moins quinze ans, de 1741 à 1756. Voltaire n’est pas le premier à avoir écrit une histoire universelle. 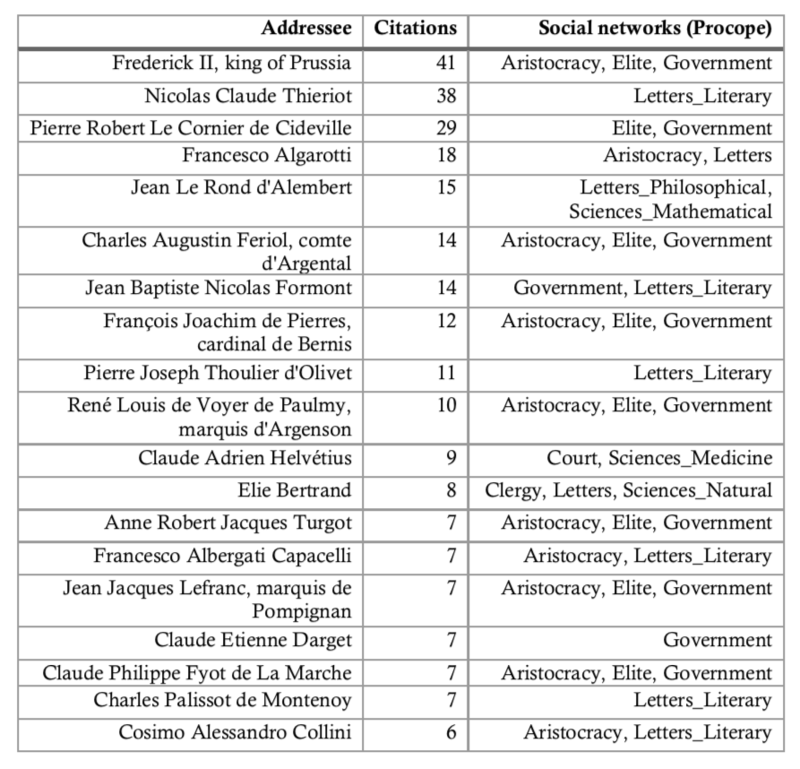 Son œuvre est une réplique critique à celle de Bossuet, qui unifiait et expliquait le cours de l’histoire de l’humanité par le dessein divin du salut. 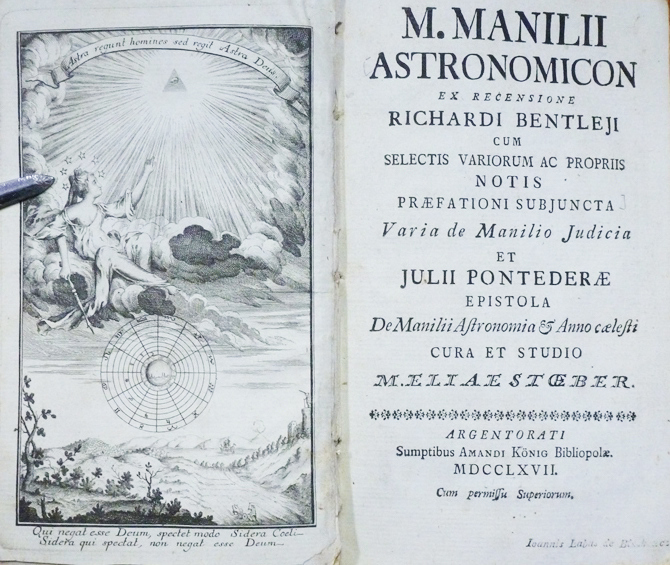 Elle est aussi en concurrence, notamment, avec An Universal History, from the earliest account of time to the present dirigée par G. Sale qui paraît depuis 1736 en anglais et depuis 1742 en traduction française. Mais l’attrait de l’Essai tient à la façon personnelle d’écrire l’histoire qu’a inventée Voltaire. 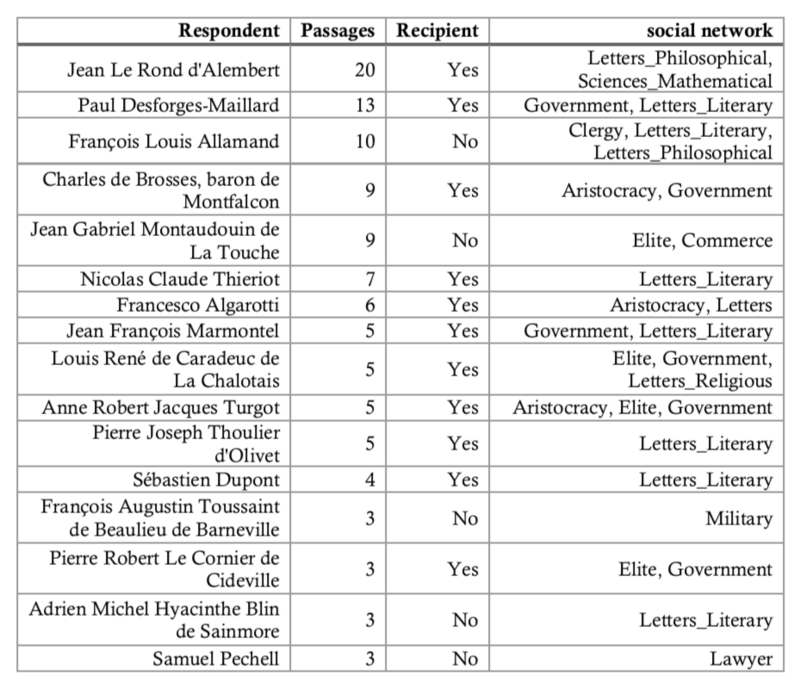 Il a choisi d’être omniprésent dans son récit et dans ses analyses, à la différence des historiens de métier, qui s’effacent derrière leur documentation. Alors qu’ils écrivent pour un public anonyme, Voltaire explique dès le début de son livre qu’il s’adresse à une lectrice de sa connaissance: c’est Mme Du Châtelet, qui n’aimait pas l’histoire et qu’il s’agit de convertir en dégageant les leçons du passé. 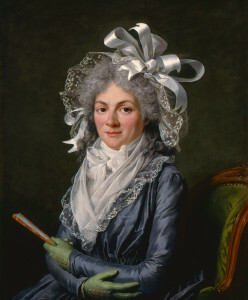 Mme Du Châtelet meurt avant l’achèvement du livre, mais la fiction d’un texte adressé reste vivante jusqu’au bout. 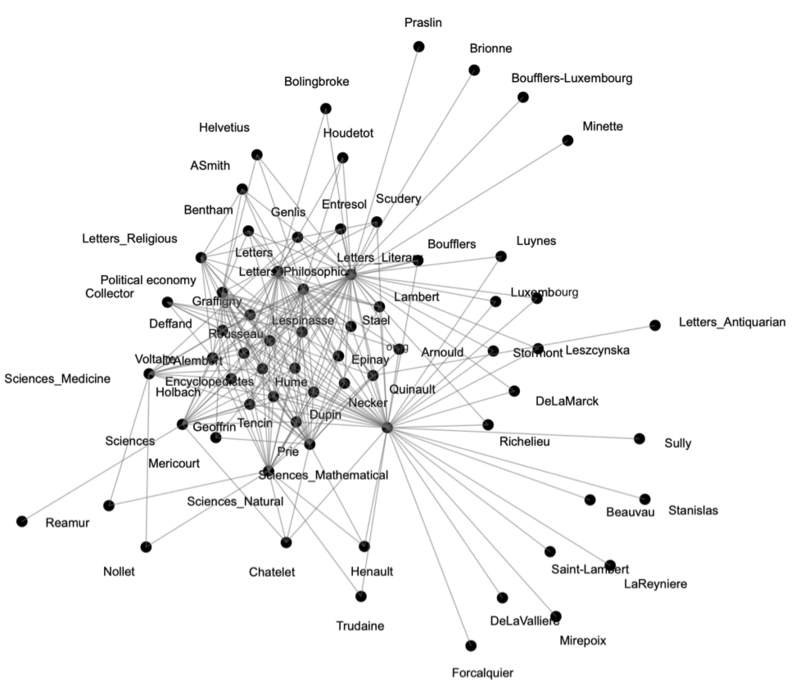 L’auteur est présent, commente son récit et sa façon de l’organiser, multiplie les remarques de tous ordres. C’est bien par cette pratique que le livre mérite son titre d’Essai. Elle donne un contenu philosophique continu au texte. Comme on peut s’y attendre, ce contenu philosophique est d’abord marqué par une vive critique du christianisme, qui en souligne les conflits internes et insiste sur les responsabilités du clergé ou de l’intolérance religieuse dans les convulsions politiques et les guerres. Mais ce thème obsessionnel chez Voltaire laisse une large place à des observations de tous ordres qui justifient dans le titre la présence des «mœurs» et des «nations». La couleur du récit est souvent rehaussée par des effets de contraste entre les caractères et les pratiques des différents peuples. 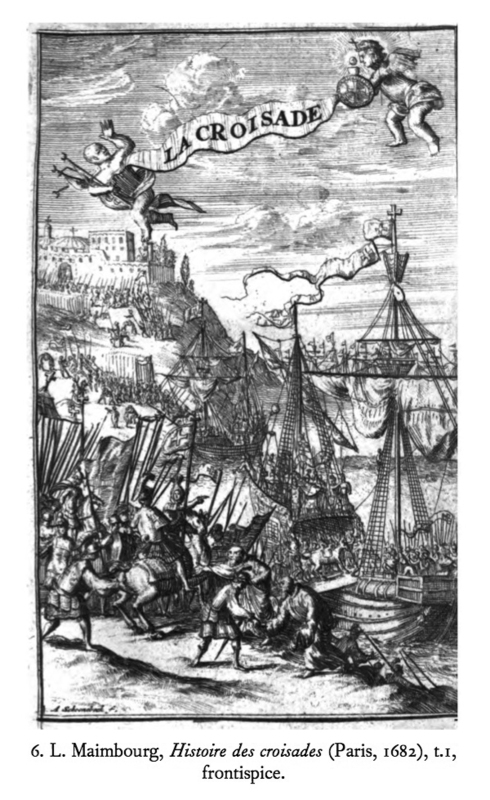 Ainsi, au moment de la prise de Constantinople par les Croisés: «Les Grecs avaient souvent prié la Sainte Vierge en assassinant leurs princes. Les Français buvaient, chantaient, caressaient des filles dans la cathédrale en la pillant» (chap.57). Les vues générales foisonnent, et suggèrent une vision d’ensemble de l’histoire des hommes, vision dans l’ensemble pessimiste; ainsi à propos du culte des images: «Enfin cette pratique pieuse dégénéra en abus, comme toutes les choses humaines» (chap.14). Le lecteur, peu à peu, voit se dessiner une «philosophie de l’histoire» voltairienne: la formule servira de titre à un texte finalement placé en tête de l’ouvrage tout entier. C’est un gros livre dont les dimensions peuvent rebuter le lecteur. Ne nous laissons pas détourner pourtant de ce produit savoureux du génie séducteur de Voltaire. Il n’est pas nécessaire de se plonger dans la succession de si nombreux chapitres. Des titres développés, une récapitulation finale aident à s’orienter dans cette forêt de faits, de guerres, de tableaux, de jugements, de portraits. Chaque chapitre tient en quelques pages, et chaque page est fragmentée en plusieurs paragraphes souvent brefs, faits de phrases simples généralement juxtaposées. Ce livre qui prétend être écrit pour une lectrice rétive cherche sans cesse à alléger l’effort du lecteur, à capter son intérêt pour les grandes comme pour les petites choses. Comme l’écrit Voltaire à propos d’une anecdote sur Tamerlan et ses conquêtes, «il est permis d’égayer ces événements horribles, et de mêler le petit au grand» (chap.88). Il est permis d’égayer, et il est permis d’abréger, ce que ne savent pas faire d’ordinaire les historiens. En cela, l’écrivain signifie et pratique sa souveraineté, qui est celle d’un honnête homme sûr de son jugement, ennemi méprisant des érudits de profession noyés dans les détails. Il conclut ainsi le chapitre 60: «Voilà tout ce qu’il vous convient de savoir des Tartares dans ces temps reculés». Car il s’agit de rester entre gens de bonne compagnie, qui ont le loisir de satisfaire leur curiosité pour des mondes et des temps lointains et le droit de tirer de leurs lectures des conséquences pour la société où ils vivent et qu’ils dominent. Voltaire ne cherche pas ici à fonder son prestige sur des découvertes d’archives ou des révélations de l’archéologie. 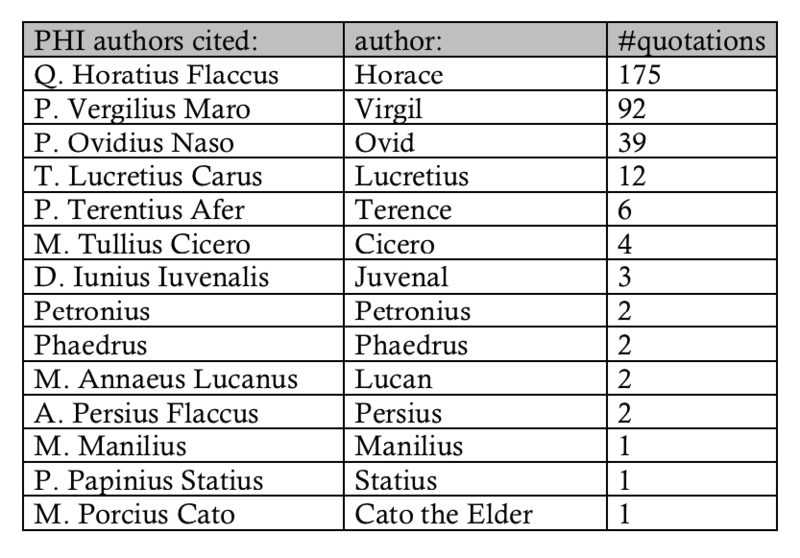 Il se présente comme le compilateur intelligent et critique des historiens qui l’ont précédé. Mais sa supériorité tient à l’activité continuelle de son jugement, qui discute à tort ou à raison leurs affirmations, propose une vision vraisemblable des faits, en tire des leçons sur la nature de l’homme, sur sa constance et sa diversité, sur ce qu’il convient et ne convient pas de faire quand on gouverne, quand on fait et défait les lois, quand on veut développer une grande civilisation ou résister à sa déliquescence. C’est cette conversation d’un esprit brillant avec les voix multiples du passé que nous avons encore plaisir et profit à écouter dans l’Essai sur les mœurs et l’esprit des nations. Il est question de l’Essai et de la conception voltairienne de l’histoire dans l’article de Robert Darnton récemment publié dans le New York Times. 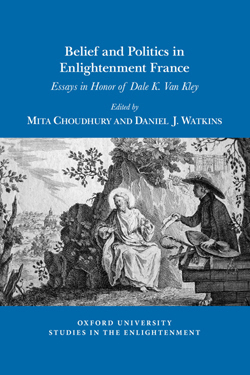 La toute première édition critique de l’Essai sur les mœurs, publiée par la Voltaire Foundation, est désormais disponible dans son intégralité avec la publication du volume I, qui comprend l’Introduction générale.